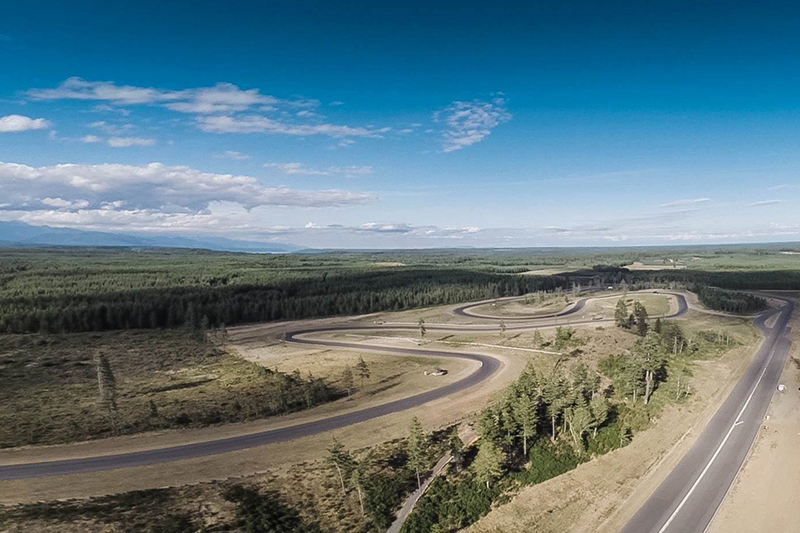 A crown jewel of motorsports circuits was constructed in the state of Washington at the end of 2011. The Ridge Motorsports Park is a unique layout that incorporated the rolling hills and natural attributes, less than 90 minutes from downtown Seattle. The Puget Sound Road Race Association (PSRRA) has been working hard at growing this genre of karting in the Northwest area, using The Ridge as the backbone for welcoming new and returning racers to their events over the past few years with numbers continuing to climb in terms of karts and racers. Working with the International Kart Federation, PSRRA is happy to announce the rejuvenation of the Road Race Grand Nationals for the 2017 season at The Ridge. The Puget Sound Road Race Association has been awarded with the honor of hosting the 2017 IKF Road Race Grand Nationals. This will be the first Grand Nationals on the road racing side of the organization since 2013, in addition to being the first major national event at The Ridge since it open in 2012. At 2.47 miles, The Ridge is among the most technical facilities in all of North America. The 16-turn layout features over 300 feet of elevation changes, including a 50 foot plunge down the ‘Ridge Complex’. Click HERE to see onboard footage from a kart at the June event for the PSRRA at The Ridge. For many in new to the sport, the Duffy trophy is something many may have never seen or even heard of. The Duffy is among the most sought-after pieced of hardware in North American karting, established by the International Kart Federation in 1976 – originally known as the ‘Joe Karter’ award given to Grand Nationals winners. In 1981, the IKF Board voted to rename the 18” inch tall trophy after karting pioneer Frank “Duffy” Livingstone. The 2017 IKF Road Race Grand Nationals will be hosted by the Puget Sound Road Racing Association during the first week of August. PSRRA is in the beginning stages of planning the event, with more details to be released when they become confirmed. Tentatively, a full day of practice followed by three full days of racing is scheduled for IKF national classes in addition to local option categories. PSRRA is looking for feedback regarding the event and classes, as the ultimate goal is to have a place for everyone to compete. In addition to the busy days on the track, PSRRA is planning on filling the evenings with off-track activities including a potluck barbeque, unique contests and an hour-long endurance race on the facility’s Olympic Grand Prix 6/10-mile concession kart circuit (a 1/5th scale version of The Ridge layout). Much more ideas and events surrounding the 2017 IKF Road Racing Grand Nationals is in the works. The Puget Sound Road Racing Association is set to host its final event of the 2016 this weekend at The Ridge Motorsports Park. A full day of practice is scheduled for Friday, September 30 with a full day of racing on October 1. To find out more about this weekend’s event or to keep up to date with the news on the 2017 IKF Road Race Grand Nationals, visit psrra.org.